Four weeks have passed since the beginning of Georgia’s 155th General Assembly and things are moving right along here under the Gold Dome. On Thursday the Senate passed our first piece of legislation of the session, Senate Bill 25. This bill clarifies ambiguous language in last year’s House Bill 978 that allowed drivers to pass school buses when moving in the opposite direction with only the separation of a turn lane. This not only confused law enforcement and drivers, but also put our children at risk. SB 25 closes this loophole by clearly stating that drivers can only pass a school bus while moving in the opposite direction if there is a grass median, unpaved area or physical barrier between the two lanes. I am pleased that such an important bill was the first to leave our chamber this session with unanimous support, ensuring that our children are protected as quickly as possible. This week the Senate Agriculture and Consumer Affairs Committee heard testimony from Agriculture Commissioner Gary Black, Georgia Forestry Commission Director Chuck Williams and southwest Georgia farmers about the devastation of Hurricane Michael. 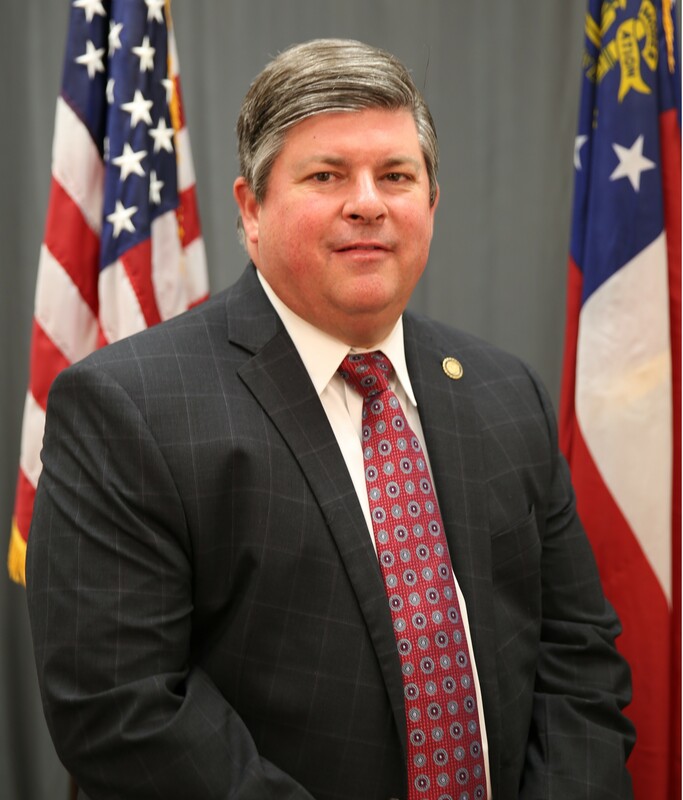 Commissioner Black presented a slideshow that demonstrated the physical damage that southwest Georgia experienced, while Director Williams discussed potential plans to rebuild the region’s forestry industry. The testimony of the farmers from the affected areas was especially moving. They explained to us first-hand just how devastating the hurricane was to their crops and how many millions of dollars in damage will have to be repaired. I believe one farmer, Robert Cohen from Bainbridge, really put into perspective just how monumental this storm is by explaining that his 11-year-old son will be 55 when his pecan crop is as productive as it was when the storm hit. This is due to most of his pecan trees being completely toppled over or partly damamged, resulting in an incredible loss to his livelihood. I was particularly interested to hear how the aid we provided in the special session is helping the recovery effort, and what we can do further to get agriculture in Georgia back on its feet. HB 4EX allowed timberland owners in the 28 counties affected by Hurricane Michael to apply for an income tax credit worth 100 percent of the lost timberland’s value. I was pleased to hear from these local farmers that this bill is serving its intended purpose by assisting in disaster relief and cleanup. Additionally, I was happy to hear that the transfer of these tax credits is extremely helpful for farmers who need funds now to help remove damaged trees and debris from their property. It has been several months since this devastating storm hit and I believe this meeting stood as a reminder to all those in our state that our work is not done. I assure you, the legislature, state agencies, commissions and charities are working day in and day out to help some of our state’s most hard working residents. Farmers ask for little in return for all they provide us, but I can guarentee you that we are working harder than ever to return your peace of mind and way of life. I welcomed Perry Youth Leadership to the Capitol this week. It is heartening to see so many young adults from the district express an interest in state government and the legislative process. If you know a child at least 12 years old that it interested in state government, please encourage them to be a Senate Page, and contact Ali Farmer in my office at (404) 656-0095 if you know a child that would be interested. I would also like to inform you that we have adopted our Adjournment Resolution which dictates our schedule for the remainder of the session. Crossover Day will take place on March 7, 2019 and Sine Die will occur April 2, 2019. As always, it is an honor to represent the wonderful people of Middle Georgia. If you have any questions, comments or concerns, please do not hesitate to reach out to my office—my door is always open!